La Luz Center was founded in 1985 by a small group of volunteers led by Ligia Booker. They secured an office and meeting space in Boyes Hot Springs and created a safe place for immigrants to go for help both in emergencies and in building their new lives. Over time the number of services and classes has expanded to include English language, GED and citizenship preparation, computers, parenting, nutrition, family budgeting, leadership and legal issues. In 2009 Vineyard Worker Services joined La Luz, and their programs of assistance, outreach and temporary housing for the migrant labor community continue. Today La Luz Center has become the “go to” place for our neighbors, for help in managing and improving their lives. We serve over 20,000 families and individuals every year. La Luz Center is a family resource center devoted to addressing the ever-changing needs of the Sonoma Valley. Our mission is to empower our community through education, leadership, and self-advocacy. The quantity and quality of our services ensure that Sonoma Valley residents facing all types of challenges have the opportunity to actively participate in shaping the economic, social, and cultural aspects of our society. La Luz helps clients realize their full potential, drawing upon our community’s wealth of knowledge, skills, and tradition in the process. To learn more, visit La Luz Center. 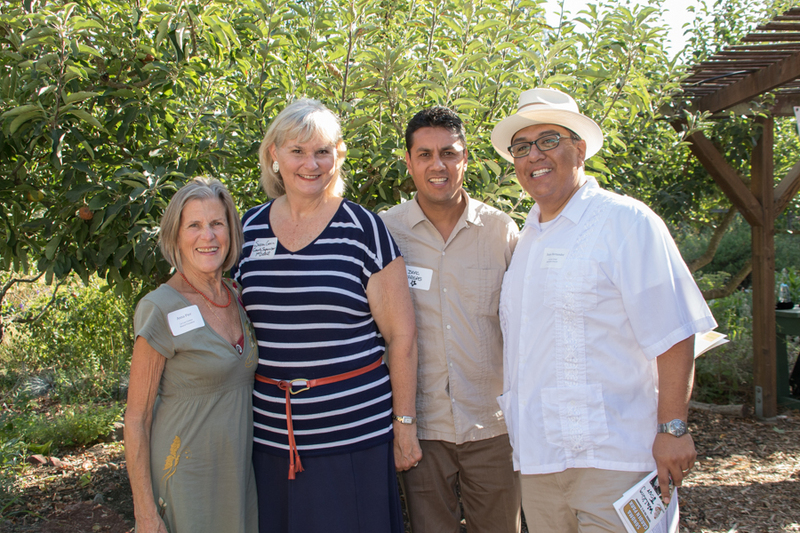 Juan Hernandez, Executive Director at La Luz Center, Anna Pier, La Luz Center's Board President, and Supervisor Susan Gorin, present Isaac Vargas this year's Star Award. Isaac Vargas is a volunteer who embodies the ideal characteristics of commitment, dedication, flexibility, integrity & energy. As an office volunteer, Isaac helps the staff and clients by assisting in answering all their questions. Isaac has been a true asset to La Luz' endeavors helping with events that La Luz hosts throughout the year. He became involved with the Health & Wellness department by becoming a "Promoter" which is part of a Promotores Program that brings Health & Wellness awareness to the valley. Isaac is a volunteer you can count on.